Barneys Farm - Honey B. Free US delivery. HONEY B™ is the resulting product of a lengthy selection process, where we stabilised this Sativa monster. The plant has a high yield that produces a mass of large, tasty colas. The plant will stretch up to 150cm in its 10-11 week flowering time, where the resins and flavours will develop. 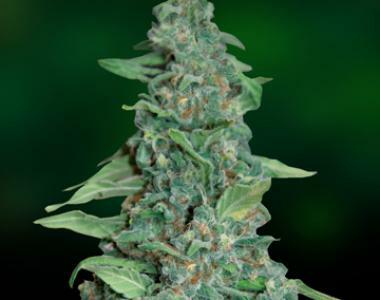 The side branches will need supporting in the final two weeks, but give this plant time and space and it will produce a huge amount of Sativa which offers a clear, racy and long lasting high. This is a strain for the true Sativa connoisseur.